A spokesman said one plane had fallen inside Pakistani territory and two pilots had been arrested. There is no comment from India. Pakistan has denied reports one of its jets was shot down. The nuclear powers have fought several wars since independence from Britain in 1947. 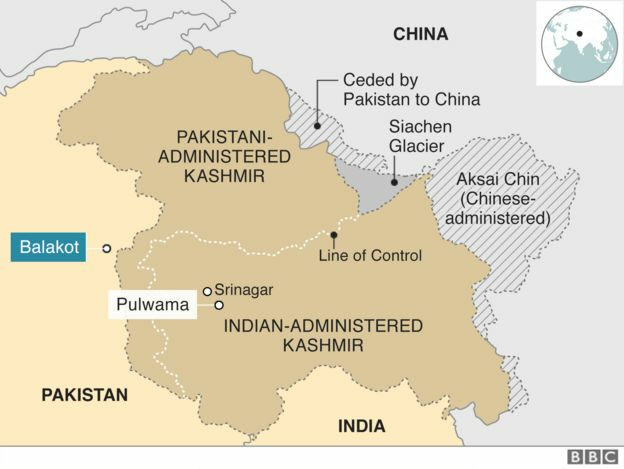 All but one were over Kashmir. They follow a militant attack in Kashmir which killed 40 Indian troops – the deadliest to take place during a three-decade insurgency against Indian rule in Kashmir. A Pakistan-based group said it carried out the attack. 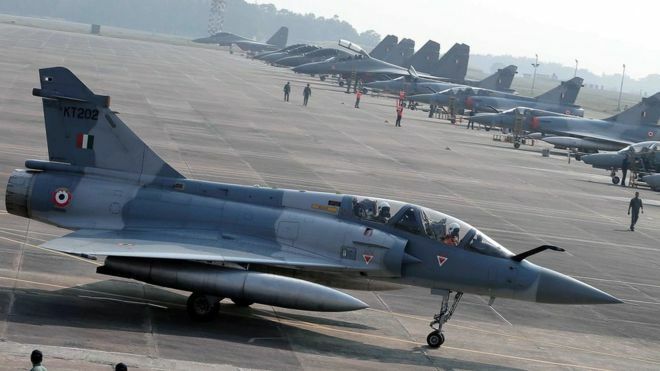 Pakistan’s assertion that it had shot down two Indian aircraft came shortly after Islamabad said its warplanes had struck targets in Indian territory. In a briefing, Maj Gen Ghafoor says that Pakistan “had no alternative to respond” to Tuesday’s Indian air strikes on its territory. However he said Pakistan had not hit Indian military targets because “we don’t want to go on the path of war”. India said Tuesday’s air strikes on Balakot in north-western Pakistan killed a large number of militants but Pakistan said there had been no casualties. India has reportedly announced restrictions on its airspace. The Vistara airline said flights in the region were being suspended. Pakistan has also stopped flights from at least five airports including Islamabad and Lahore, reports say. The flight monitoring group Flight Radar says international flights are also avoiding the area. Troops have been shelling across the LoC. Four Pakistani civilians were killed and 10 others were injured in cross-border shelling on Tuesday.